About Jose E. Valenzuela, Esq. Jose was born and raised in Oxnard, California. Jose played football at the collegiate level in Southern California for a brief stint, and then transferred to the University of Nevada - Las Vegas in 2001. Jose has been a proud resident of Las Vegas, Nevada since transferring to UNLV. Jose enjoys giving back to our community by regularly volunteering his time to charitable events and causes. University of Nevada, Las Vegas, Lee School of Business – B.A., major Economics; minor Sociology; Deans Awards; President, Grand Master of Ceremonies, Social Chairman, and Community Service Chairman of the Kappa Alpha Chapter of Kappa Sigma Fraternity. University of Nevada, Las Vegas, William S. Boyd School of Law – Juris Doctorate; President of the Weiner Chapter of Phi Alpha Delta Law Fraternity International (National Outstanding Law School Chapter President, 2nd Place), President of the Latino Bar Association; member of La Voz: Hispanic Law Student Association; American Bar Association, Client Counseling Competition, Negotiations Competition. Jose married the love of his life, Jessica, in 2017. He enjoys playing golf, snowboarding, hiking, animation and film, and watching football, especially the Dallas Cowboys. Jose was able to hone his snowboarding skills while working for Vail Resorts as a Night Auditor and while studying Spanish in the Andes Mountains of Chile. Prior to law school, Jose worked for Financial Strategies, LLC, earning his Series 7 General Securities License. In law school, Jose worked for a personal injury law firm, learning extensively in the area of personal injury pre-litigation. Also while in law school, Jose was an extern for the Honorable Judge Stefany A. Miley where he earned a Certificate of Appreciation for his service. After graduating from law school, Jose was the first law clerk to the Honorable Ronald J. Israel. 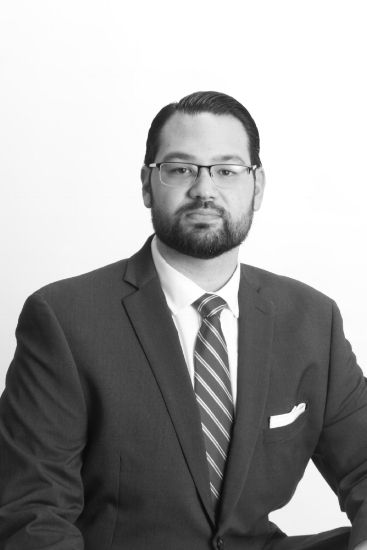 Before joining the LBC Law Group, Jose worked as a litigator for a prestigious general civil litigation firm for two years, and he was a Deputy City Attorney for the City of North Las Vegas for two years. Jose currently holds a seat on the Board of Directors for the Latin Chamber of Commerce. He is also the past president and past vice president of the Latin Bar Association, Chairman of the Latino BizPac, and member of the Metro Chamber of Commerce Leadership Advance Program. As a Deputy City Attorney, Civil Division, Jose performed work on professional service agreements, temporary license agreements, temporary construction easements, settlement and release agreements, franchise agreements, collective bargaining agreements, memoranda of understanding, consulting agreements, land surveying agreements, public highway agreements, interlocal agreements. Jose has practiced before many tribunals, including but not limited to Nevada District Courts, municipal courts, Nevada Justice Courts, local federal courts, the Employee-Management Relations Board (EMRB), the Department of Employment, Training and Rehabilitation (DETR), the Public Utilities Commission, North Las Vegas City Council, Library Board, Traffic Parking and Control Board, Arts & Culture Board, North Las Vegas Planning Commission, and Veterans Commission. Jose has experience in general civil litigation, personal injury, contracts, labor relations/disputes, quiet title actions, special improvement district assessments, employer discrimination claims, transactional work, personal injury defense and prosecution, ordinance drafting, animal rights/abuse issues, bid requirements and protests, procurements, policy drafting, planning and zoning, civil rights, open meeting laws, Public Records Act, Temporary Restraining Orders, and alternate dispute resolution (mediations, arbitrations, negotiations, etc. ); minors compromises, Show Cause Hearings, Drafting Judicial Orders, Petitions for Judicial Review, unemployment appeal hearings, Preliminary Injunctions, Good Faith Settlement Determinations, Receiver Appointments, Setting Aside of Default Judgments, Sealing Pleadings, Civil and Criminal Motion Practice, and Discovery Issues.